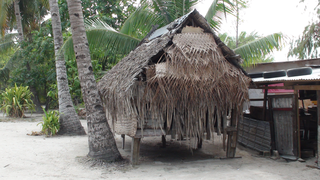 Kiribati women face a high level of domestic violence. More than 68 per cent of women aged 15 to 49 years who had been in a partnership had experienced physical or sexual violence. Population growth remains high at 1.8 per cent a year. High fertility is a key cause of this rapid population growth. Migration to South Tarawa has contributed to poor housing and sanitary conditions. 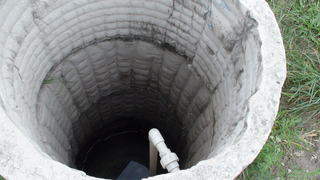 This overcrowding is a major contributor to disease and impacts the water lens. Poverty in Kiribati does not mean hunger or destitution in the traditional sense but rather that many households are struggling to meet their basic living expenses on a daily or weekly basis. It is estimated that around one-in-five households and almost one-in-four of the population of Kiribati may be living below the basic needs poverty line. Poverty of opportunity is widespread in Kiribati as there is limited economic opportunities for earning an income. The majority of the population in rural areas use the beach for defecation. Flush toilets are used mostly in urban areas but a high proportion of the population in urban areas still use the beach and the bush. Defecation at the beach and in the bush increases the spread of water borne diseases especially diarrhoeal diseases.